The Sounds of American Culture Every year, the Library of Congress selects 50 sound recordings for the National Recording Registry. Deemed by the Library as "culturally, historically or aesthetically" significant, the recordings range from John Coltrane's Giant Steps to Game Four of the 1941 World Series. Independent producer Ben Manilla, Media Mechanics, and Weekend All Things Considered look at recent additions to the registry. December 14, 2008  Singer Emmylou Harris says a 33-year-old housewife named Kitty Wells turned both country music and the country on its head with "It Wasn't God Who Made Honky Tonk Angels." With that song, Wells captured the tensions of the time and paved the way for more female musicians. December 6, 2008  One day, Roy Orbison's first wife walked down the street to the store. By the time she returned, the rock 'n' roll pioneer had already written his most enduring hit. "Oh, Pretty Woman" is one of the newest additions to the National Recording Registry. November 30, 2008  The year is 1945. The world is at war, and New York City's newspaper delivery men are on strike. Mayor Fiorello LaGuardia solves the problem. Independent producer Ben Manilla shares the story behind LaGuardia's legendary radio readings of comic strips like Little Orphan Annie. November 7, 2008  T-Bone Walker swung the blues, made his guitar cry like no one else and wrote a classic in "Call It Stormy Monday." The Library of Congress agrees. December 30, 2007  What does Cole Porter's song, You're the Top have to do with Franklin Delano Roosevelt and the end of Prohibition? December 23, 2007  In 1960, Bob Newhart stood before one of the first live nightclub audiences he'd ever faced. That performance resulted in the beloved comedy album, "The Button-Down Mind of Bob Newhart," which the Library of Congress selected for its National Recording Registry. December 9, 2007  In 1973, a reggae group on the verge of breaking up released an album — its second that year — filled with militant anthems inspired by life in the Jamaican slums. Burnin' turned out to be Bob Marley's big break. November 25, 2006  The 1938 boxing rematch between American Joe Louis and German Max Schmeling is believed to have had the largest audience in history for a single radio broadcast. In 2005, the Library of Congress selected it for the National Recording Registry. November 11, 2006  Mamie Smith was the first black artist to record a blues song: 1920's "Crazy Blues." The recording opened the door for a brand new market known from the 1920s to the 1940s as "race records." 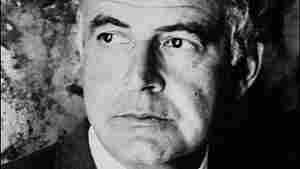 November 4, 2006  Samuel Barber's "Adagio for Strings" is considered one of the most popular of all 20th-century classical works. Its 1938 premiere by the NBC Orchestra with conductor Arturo Toscanini is a recent selection for the National Recording Registry.